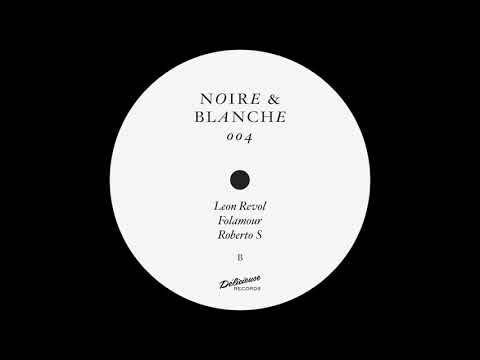 Délicieuse Records’ House imprint Noire & Blanche are beginning to create quite the name for themselves, after coming out with notable releases from some of our favorite artists like Tell, Folamour, and Loure. To keep their momentum going, the French label has decided to close out the year strong with a compilation that features close friends and musicians they’ve worked with in the past. That sort of list would not necessarily be that impressive for most young labels, but that is definitely not the case here. Their Various Artists Vol. 1 will include tracks from the likes of Roberto S, A Vision of Panorama, Too Smooth Christ, Folamour, Tell, and work from an artist we are featuring in today’s post – Leon Revol! The Frenchman is becoming a sort of Bolting Bits regular if you will, having covered his releases on labels such as Beats of No Nation, Monologues Records, and Secret Reels. Although Mr. Revol likes to spend most of his time blending a mixture of jazz and house, his contribution to the record titled Y is certainly more of the latter. Marked by vibrant waves of synths that ebb and flow in terms of intensity, Leon is able to create a slow-burner of a deep house tune that will leave you feeling hypnotized with its assortment of faint whispers and mesmerizing percussion. If you are a fan of music from other artists such as Felipe Gordon, this will certainly wet your whistle. To get your hands on this as well as the compilation’s 5 other tracks, pre-order your copy right here. Various Artists Vol. 1 is set for release 11/2.